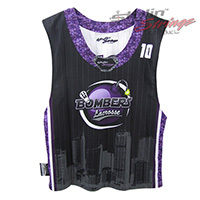 The Bombers sublimated lacrosse shooting shirt was designed with the same pin stripe vibe as the uniform. Although this time we did a white and light grey alternating body stripe with a black pin stripe. 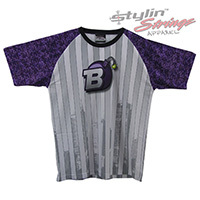 It was a raglan cut with the purple window texture pattern on the sleeves.